Your water filtration system is constantly at work, and at some point, your filters and/or some parts may have to be replaced. 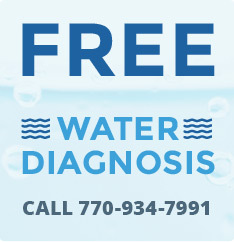 At Metro Water Filter, we don’t simply sell you the equipment and leave you to it: we also service what we sell. Not only do we offer a comprehensive supply of replacement filters and other products, but we also offer a no-hassle maintenance agreement for our entire product line to ensure that your filtration system is always working at its best. You can sign up for coverage from 1-3 years, covering 1, 2, or 3 filters. (The longer the coverage, the better the value.) During the coverage period, if your filtration system needs repair, our maintenance agreement covers all costs of those repairs, including parts and labor, with no surprise expenses. It’s that simple! As long as you purchased the unit from us, had it properly installed, and are servicing it at the recommended intervals, you’re covered. This maintenance agreement only covers filtration units purchased from Metro Water Filter. The maintenance agreement covers repairs only, not servicing. The maintenance agreement is for residential only, not commercial filters.